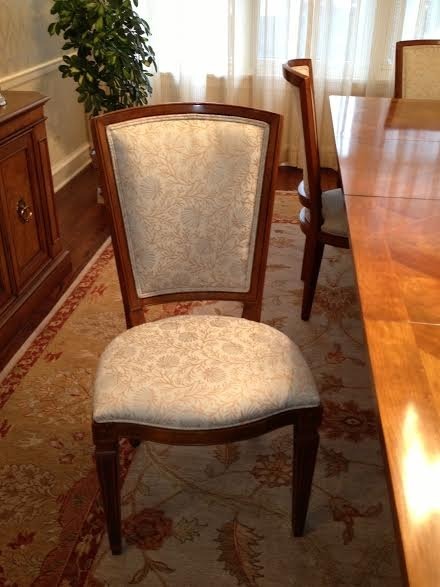 A traditional couple needed help to choose fabrics to re-upholster their gorgeous Baker dining room chairs, corner bench, and window sheers. 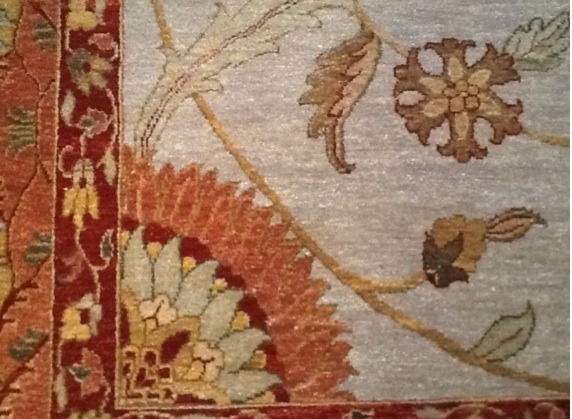 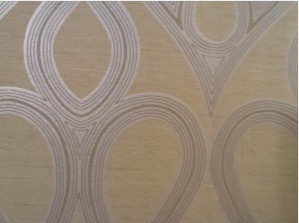 We pulled in the color from their current wall paper, as well as their current wool rug. colors we pulled in from the rug, as well as the silk fabric for the corner bench. 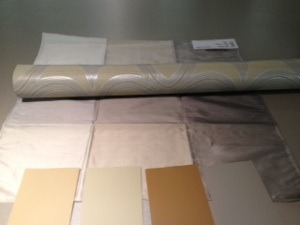 KTID presented 3 choices for each area. The client chose our favorite fabric for each respective area. 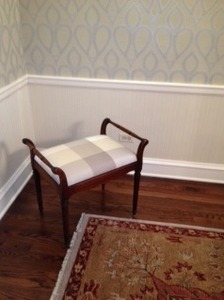 We ordered the yardage right away and made arrangements with the upholsterer to pick up the chairs and bench. The window sheers were manufactured from a small workroom near the client that they had a relationship with. On the Dining Chairs, we chose this floral print with a small repeat that is a blend of natural and synthetic materials. 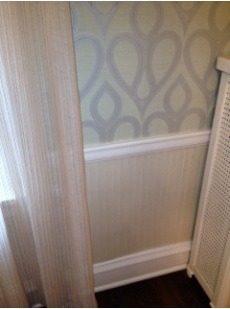 For the windows treatments, we went with a blend for the sheers that co-ordinated in a subtle way with the wallpaper.